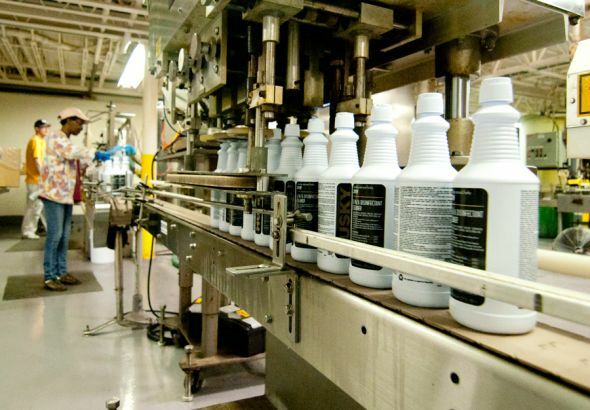 We provide a wide range of custom manufacturing services from blending, filling and packaging, to full-service manufacturing—and we do it all to your specifications. If necessary, we will even develop custom manufacturing processes to meet your requirements. Each of our eight production plants are specialized by product type to ensure consistency, performance, and quality for everything from small pilot projects to continuous truckload business. For inquiries regarding our custom manufacturing services, please contact us at 419-841-6616 or email info@canberracorp.com.